How to Get Free Books on iPhone, iPad or iPod touch? 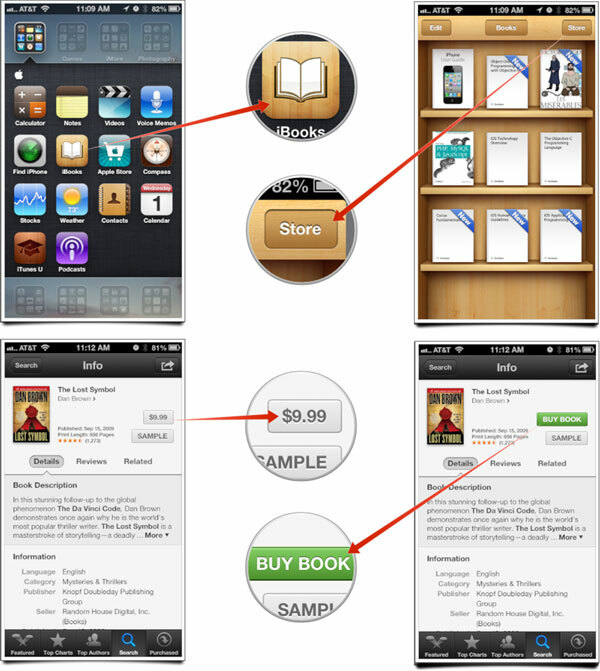 Home> Resource> iOS Transfer> How to Get Free Books on iPhone, iPad or iPod touch? With the popularity of iPhone, iPad or other portable devices on the market, a new reading habit also become a tendency in the daily life - reading eBooks on portable devices. If you're an iPhone user, then it is no doubt that reading books on iPhone is a good way for you to pass time while you're boring, but iPhone users always be frustrated with the problem of getting the free books into their devices. Even though you can install lots of reading apps for iPhone and directly get books from the built-in store, but you may find that lots of books in this bookstore always charge of frees. Maybe it is just cost $1-2 per book, but with the development of time, you'll find you have spend too much money on purchasing books from the online bookstore app. What's more, the purchased books for passing time always be idled and you may never read them one more time. Thus, more and more iPhone users hope to find a way to get or import free books to their iPhone, iPad or iPod touch for reading, but obviously it is not too easy to find a method for almost users. That's why you're here now and why we write this article here. How to Download Free Books on iPhone with iBooks? 1) Download iBooks on your device for free, and then launch it. 2) Tap on the Store button and you can search the specific books according to the title or browse your needed books in categories. When you find a book that you're interested in, you can click the price like "$0.99" or "Free" to buy or download the books. 3) Now, you'll be asked to enter your iTunes account & password to confirm the downloading. After that, you can find the book in the book sheet as you like. How to Import Downloaded Books from PC/Mac to iPhone 6/5S/5? We know that there are lots of free resources on the Internet, so if you can't find your needed free books in the iBooks, try to find your needed files on your desktop PC could also be a nice option here. Generally speaking, iPhone only support eBooks in the format of PDF or ePub, so if you're looking for a book online, you should pay more attention to the file format. 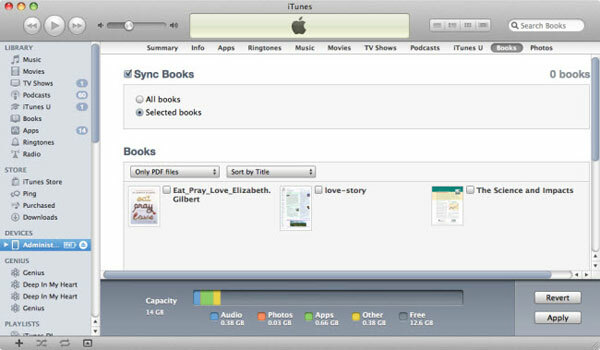 And then you can use iTunes to sync books from computer to your iPhone, iPad or iPod touch as you like. 1) Prepare all books you wish to sync on iPhone and then run iTunes. 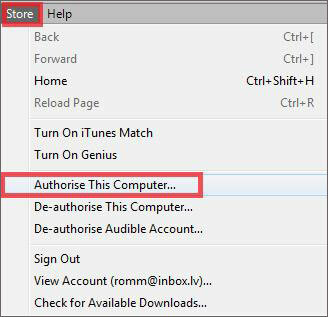 Then you can authorize the PC by clicking "Store" > "Authorise This Computer..." with your Apple ID and password. 2) Click "File" > "Add Files to ..." or "Add Folders to ..." to sync the downloaded books to iTunes library. After that, you can connect your iPhone, iPad or iPod touch to the computer and make the device can be recognized by iTunes. 3) Tap your device under the option of "DEVICE" and then you can click "Books" in the top menu. After that, you can tick the options of "Sync Books" to sync all books or selected books to iPhone as you like. Now, you can read the imported books on your iPhone without restrictions, and if you wish to share, or backup the books on other computers, you can click here to learn how to transfer books from iPhone to computer with the help of the best iPhone Books Transfer software. How to Transfer MP3 to iPhone X/8/8 Plus/7/6S/6 with or without iTunes? How to Transfer Files from Computer to iPhone X/8/8 Plus/7/6S/6 Easily? How to Transfer Voicemail from iPhone to Computer Easily? How to Completely Format iPhone? How to Find & View iTunes Backup Files on PC/Mac? iTunes not Recognizing iPhone, What will You Do?